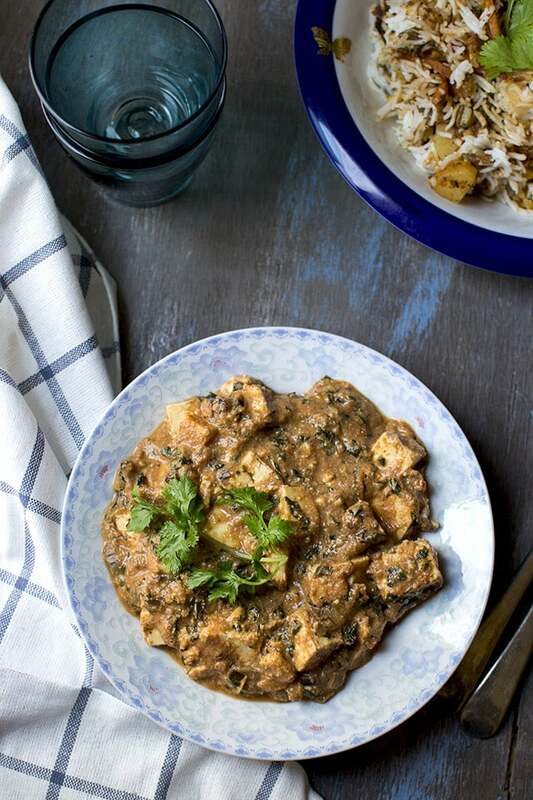 A simple curry with methi leaves, tomato, paneer to serve with roti, rice or pulao. 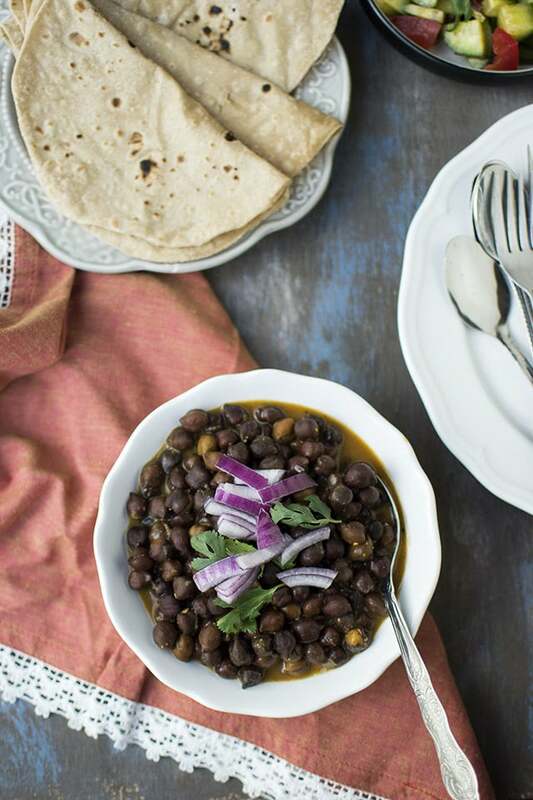 Rasawala Chana — Gujarati tangy & sweet black chickpea curry cooked with tamarind & jaggery sauce. 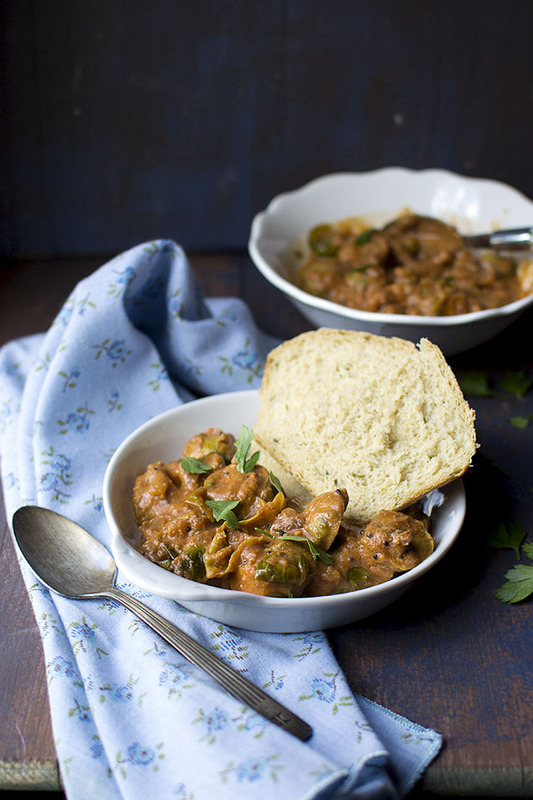 Recipe to make Jackfruit kofta curry. 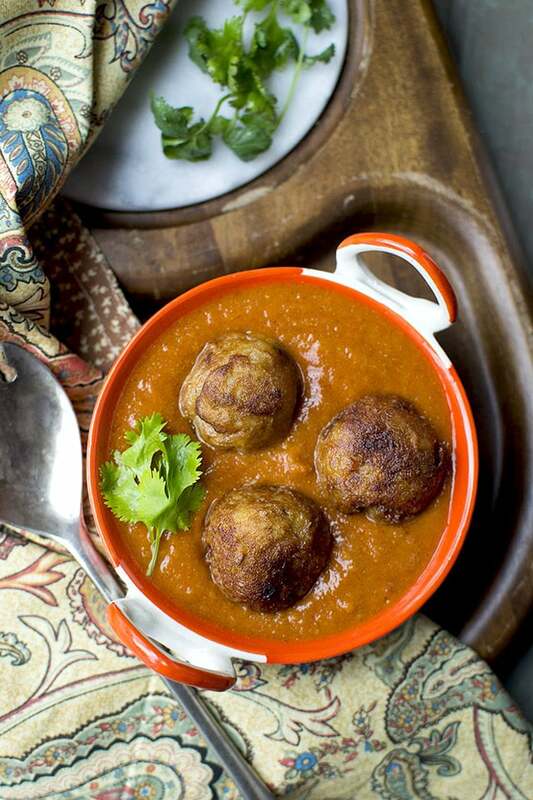 This is a Bengali recipe with koftas made of jackfruit & potato and served with a simple tomato sauce. 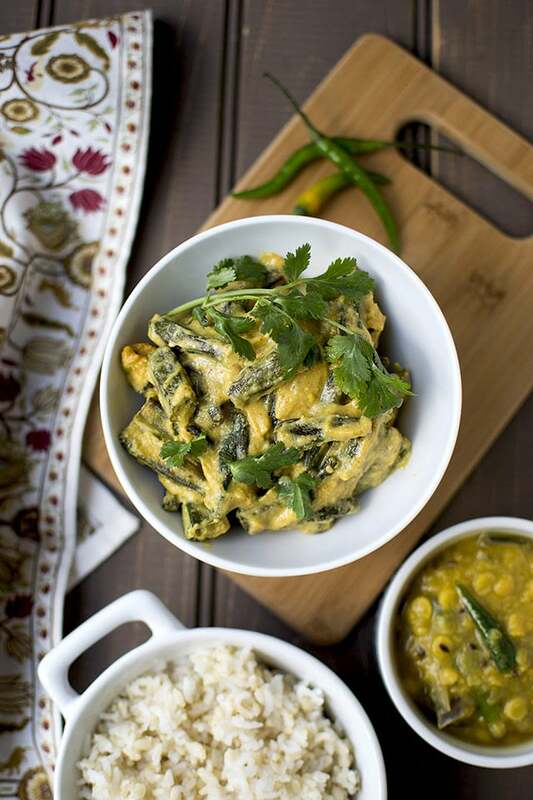 Doi Dharosh is a delicious Bengali side dish made with okra cooked in spicy yogurt sauce. It is great to serve with rice and dal. 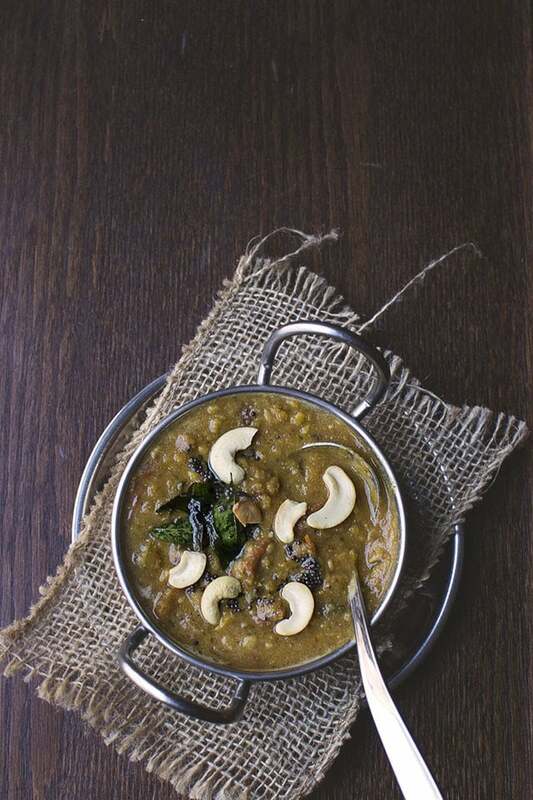 Recipe to make Hara Butter masala or Spicy Green Curry with Paneer. This is a yummy alternate to the typical Indian restaurant menu item, Paneer Butter masala which is made with tomatoes and is red in color. 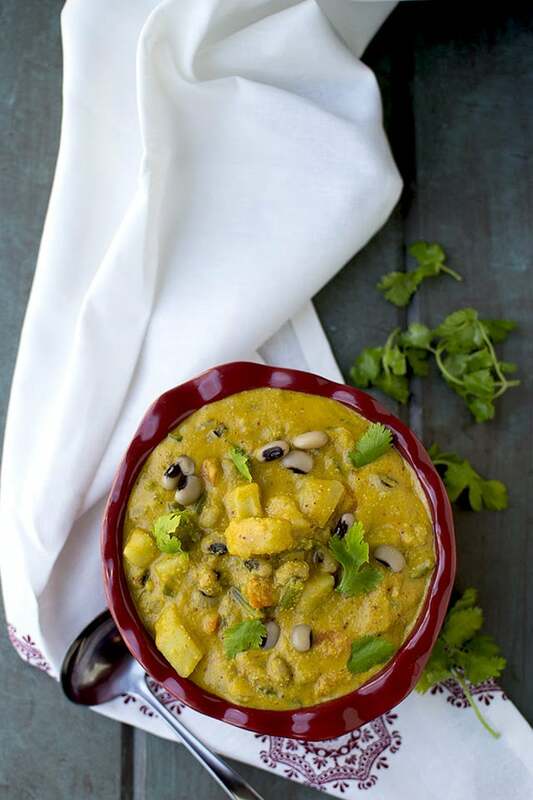 This version is made with green peppers, cilantro and cashews. Great to serve with rice and rotis. 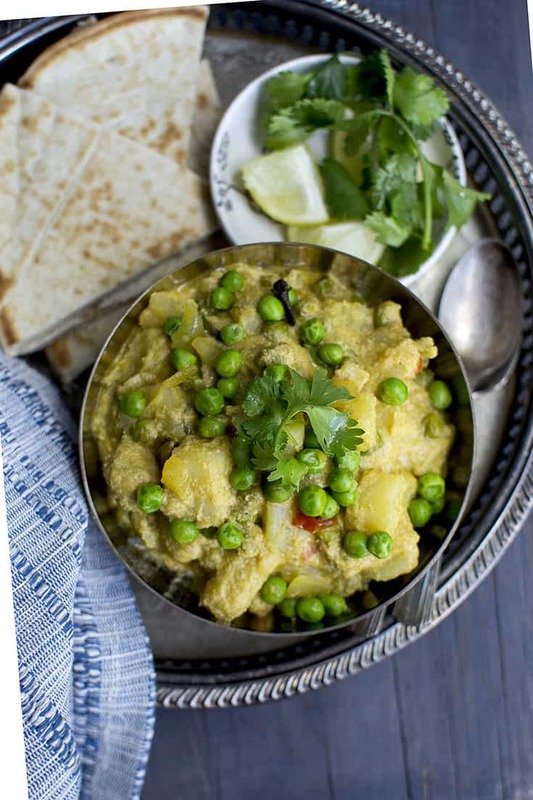 Recipe to make creamy and delicious mixed vegetable curry with coconut milk and freshly ground spice paste. Yummy to serve with both rice and roti. 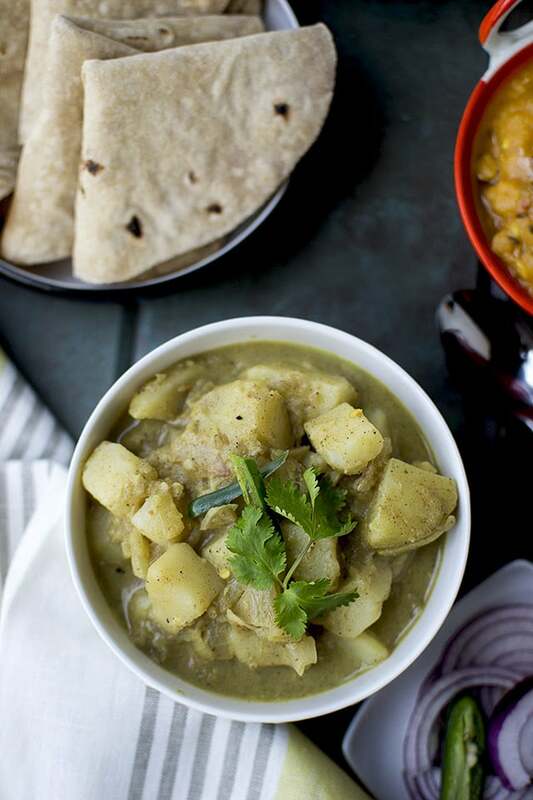 Punjabi Aloo is a delicious and spicy potato curry made with freshly made spice powder. It is great to serve with rice or roti. Bittergourd pitlay or pitlai is a spicy, tangy, slightly sweet and absolutely delicious side dish made with bittergourd, coconut (fresh grated and coconut milk), tamarind and jaggery.